Wood expansion has to be taken into account in the design and building of any projects. Typically, wood moves twice as much in the tangential direction as it does in the radial direction. For woodworking purposes, we ignore movement in the axial direction. The tangential direction is along the curve of the tree rings. The radial direction is across the rings, or through the diameter of the tree. The axial direction is along the length of the trunk. Just look at the end of a board. For a plain-sawn board, the tangential direction is across the width of the face and the radial direction is through the thickness. For a quartersawn board, the opposite is true -- the tangential direction is through the thickness and the radial direction is across the width of the board. Why does wood expand and contract? Wood moves because of the change in moisture content (amount of water molecules) in the wood. Wood that is freshly cut, i.e. green, has the maximum amount of water it can hold, called the fiber saturation point (FSP). The FSP runs from about 25 percent to 31 percent, depending on the wood. On average, we figure 28 percent. Wood constantly absorbs and gives off moisture from and to the atmosphere. As green wood dries, it gives off move moisture than it absorbs. When the amount of moisture absorbed equals the amount of moisture given off, the wood is said to be at equilibrium moisture content (EMC). The EMC changes with relative humidity (RH) and temperature (T). As RH goes up and down, EMC goes up and down, as well. The same is true for temperature, but by significantly smaller amounts. To get the exact EMC for your conditions, check out the link, Computing Moisture Content of Wood, in the Lumber Section. Consider the example where you buy a piece of black cherry at your local hardwood specialty shop. The wood was kiln-dried and has a moisture content of seven percent. You take it home to your shop where you prep and cut two pieces and edge-glue them together, giving you a board ten inches (250 mm) wide and 3/4 inch (18 mm) thick. Your shop is in your garage and the RH is 75 percent, so the MCair is 14 percent. You can calculate the amount the wood will expand, when you know the SFt and the SFr for cherry are 7.1% and 3.7%, respectively. Where is wood movement an issue? Expansion and contraction are important considerations anywhere two pieces of wood with different grain directions meet. 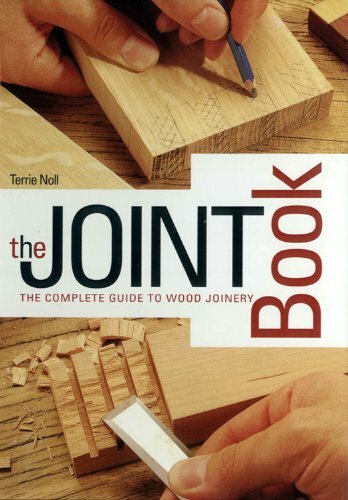 Joinery is the obvious example. I recently made a sofa end table where the width was shorter than the depth. This led to careful consideration of grain direction and the wood's resulting movement for the sides, the shelves, the drawer and the top. For example, the wood could split and crack if the sides expanded and contracted in a direction different from the shelves. The solid wood drawer bottom could break the drawer joints if the grain direction of the bottom didn't match the front and sides. Location is another consideration. The wood movement calculation example highlighted the difference in air moisture content between the store and the shop. There can also be a difference between the shop and the house. My house is air conditioned, but my shop is not. You better believe there is a moisture content difference between the two, and the wood will swell and contract. I had a friend in Atlanta, Georgia, where it is very humid, make a chest for his daughter in Tucson, Arizona, where it is very dry. The drawer bottoms shrink so much they fell out. The bottom line is...pay attention to wood movement and you won't be in for any nasty surprises. Let wood acclimate in your shop before you use it. Let it come to equilibrium. Get a moisture meter to check the water content of your wood. Get a hygrometer, a gauge that measures the actual relative humidity -- not a barometer -- and hang it in your shop. Refer to it daily. Always be conscious of grain direction in your designs. In fact, mark your drawings with the grain direction to force you to think about how wood movement will affect the piece.